Farage Pickle? UK in a Pickle? 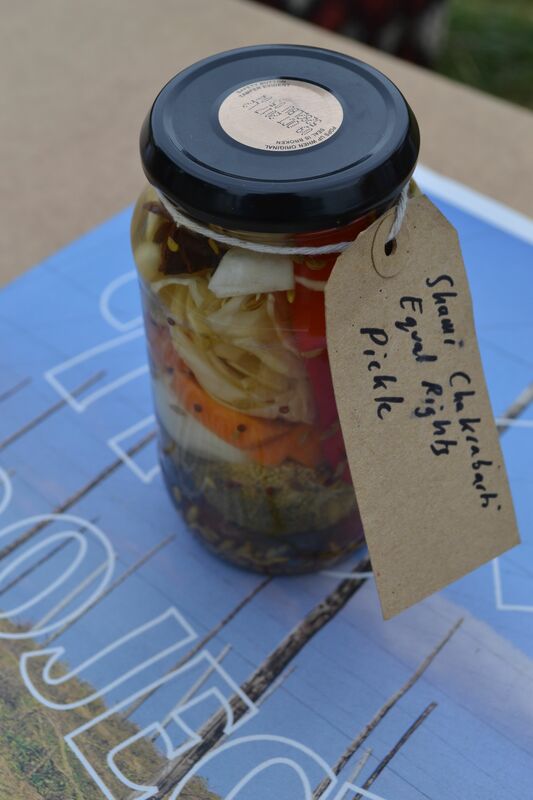 Shami Chakrabarti Equal Rights Pickle? At this time of unprecedented national crisis, the ‘immigration question’ has polarised the country: should Britain become a cultural melting pot and embrace cultural diversity, as a key driver for global competitive advantage in the 21st century? Or should Britain limit immigration and protect Britain’s homogeneity, because multiculturalism threatens Britain’s native culture, values and communities? 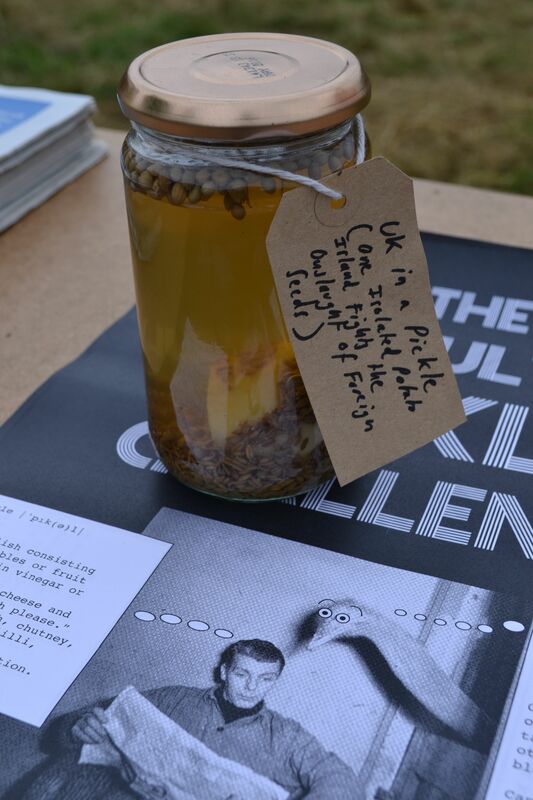 To try and find some clarity on the ‘immigration question’, we would like to invite you to take part in the Multicultural Pickle Challenge. 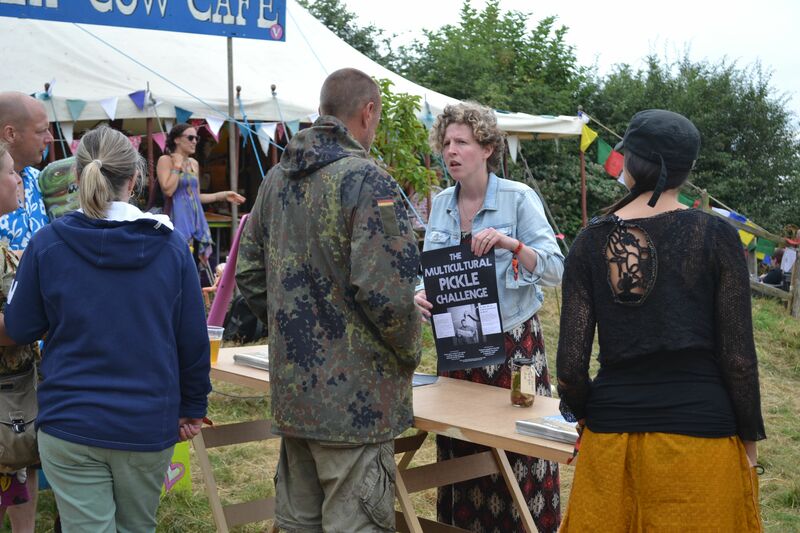 Please join us to discuss multi-culturalism through the medium of pickle, chutney or piccalilli. Do you think the UK is in a multicultural pickle? Or are flavours from other countries adding a tasty tang to what would otherwise be a rather bland offering? 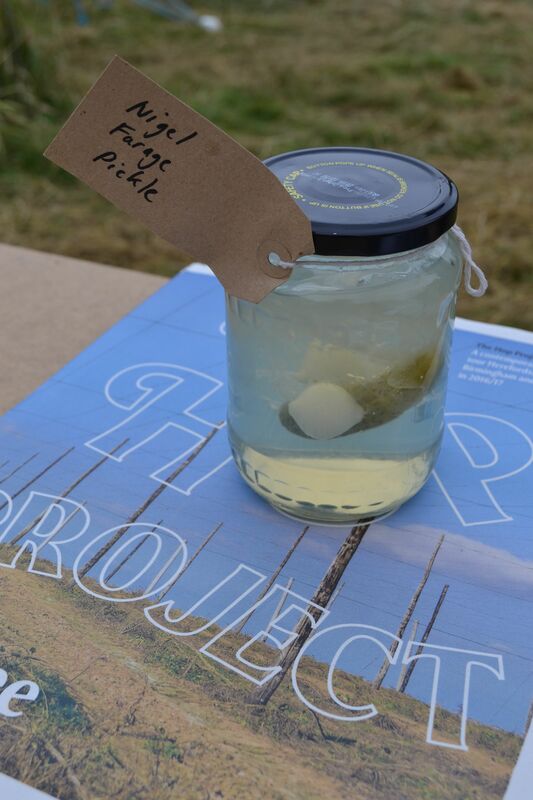 Can making and eating pickle help facilitate an informed debate? 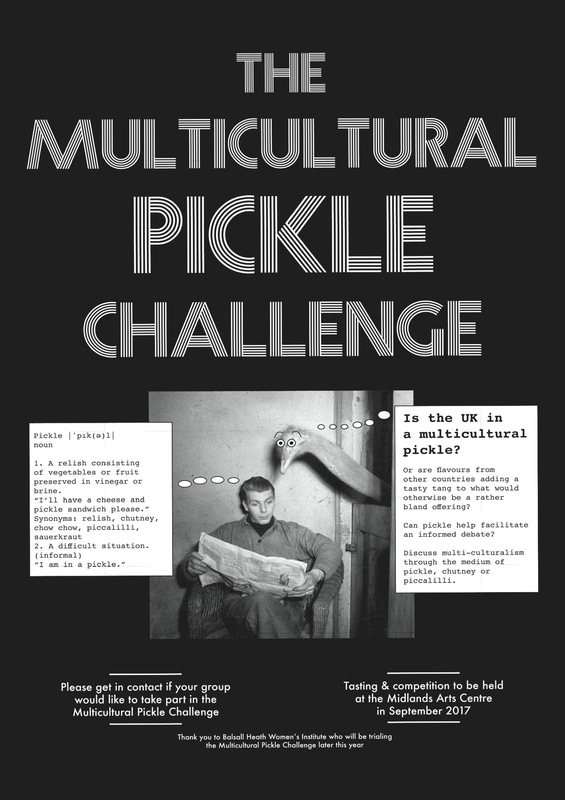 Please get in contact if your group would like to take part in the Multicultural Pickle Challenge. Ingredients: Cucumber / Gerkin, two pickling onions, aspic/gelatine. Instructions: Assemble ingredients together in rough phallic formation. [Or for an alternative, free-floating deconstructed Farage Pickle place the ingredients into a pickling vinegar solution]. Ingredients: potato (peeled), cumin seeds, coriander seeds, pickling vinegar. Instructions: Peel potato and place into sterilised jar (bake jars in an English oven). Add cumin and coriander seeds whilst looking other way. Sing National Anthem whilst pouring in pickling vinegar. Ingredients: Anything from the vegetable, fruit or foliage family. 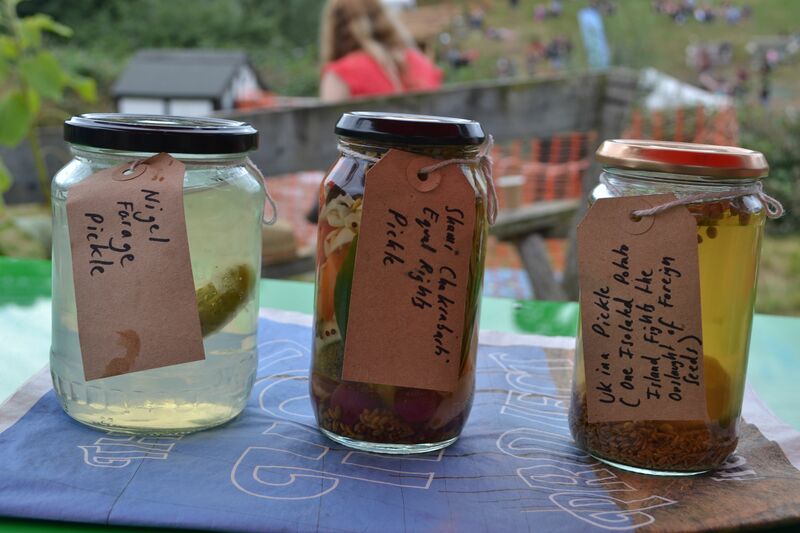 Pickling vinegar. Instructions: Place all ingredients into the jar. Pour on pickling vinegar. Everything has equal rights in this jar.